Like blood that pumps to bring your body into life, a battery supplies the energy that is needed by your ATV to function. Therefore, it is important to make sure that you have nothing but the best, which, in turn, will result in an exceptional performance of your vehicle. 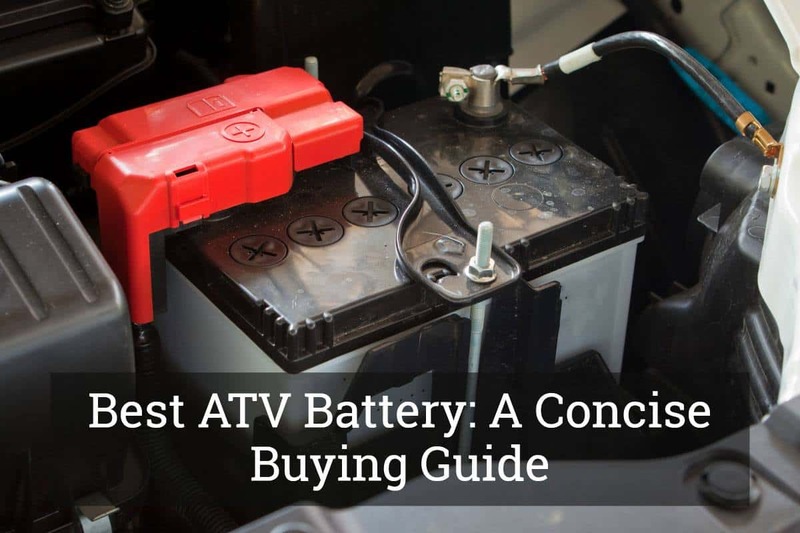 In the rest of this buying guide, we’ll help you choose the best ATV battery available in the market. We will have a quick look at some of the factors you should consider and four of the products you might want to include in your list. To begin with, in this section, we will tackle some of the most important factors that will have an impact on the choice you will make. Absorbed Glass Mat Battery: Also known as AGM battery, this is one of the best options. There is a glass mat that is especially designed for wicking electrolytes. Even if it is expensive, it is popular because they do not degrade as quick as other batteries. Wet Cell Battery: With this battery, there is water and sulfuric acid inside. 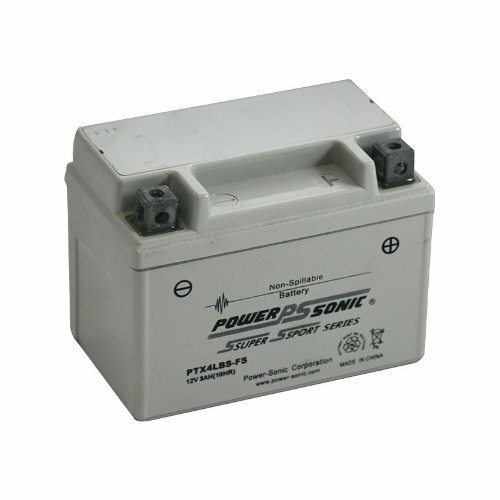 This type of battery is available in two types – maintenance-free and serviceable. Gel Cell Battery: In this type of battery, there is a silica-type gel inside. This is also where the electrolyte is suspended. It has a lower discharge rate compared to AGM battery. Cold Cranking Amp: Often called CCA, this is a measurement of the amp that can be produced by the battery at 0 degrees Fahrenheit. This is important if you live in an area where it is often cold or snowing. In lower temperatures, a higher number will make sure that it will easily start regardless of how cold it is. Cycle Life: This refers to the total number of complete charge and discharge cycles that can be handled by the battery. A longer cycle, life means that you will be able to use the battery for a longer span of time. Amp Hour: Expressed as AH, this is indicative of the total number of amps that can be supplied by the ATV battery within a specific hour. Maintenance: Ideally, you should look for a product that is maintenance-free. This means that it will remain in its tip-top shape without requiring effort on your end. Mounting Options: You must be able to mount the battery depending on the position that is required by your ATV. 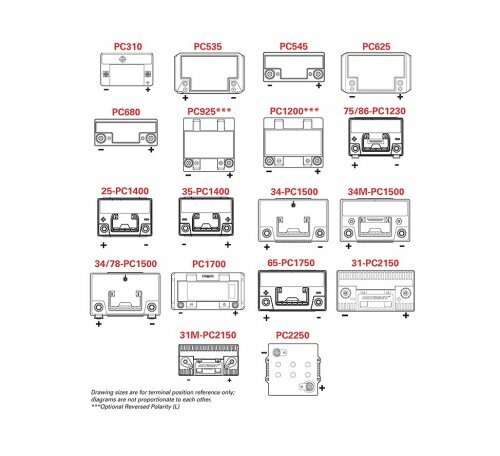 Compatibility: Check the requirements of your ATV to be sure what is the best battery that should be chosen, such as with regards to the size and types of connector. Reviews: If you are clueless on what makes the best pick, it will be best to rely on the opinions of other people and use it to narrow down the possibilities. To make things easier, limit your choices to the four products that will be mentioned below. Among other things, the service life of this battery is one thing that can convince you to choose it above all others. It has a service life of three to ten years, which is longer than most of the competing models in the market. 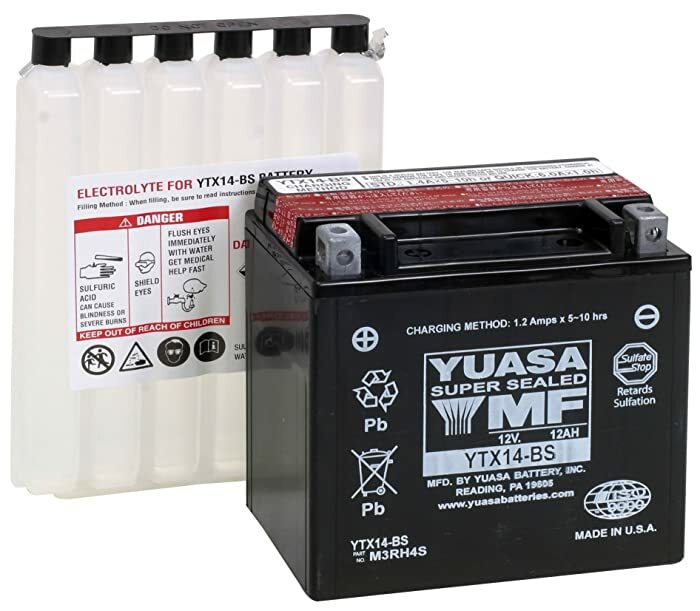 The mounting flexibility is another great benefit of using this ATV battery. You can have it installed in different positions and be sure that it will deliver optimal functionality. Regardless of how it is positioned, there will be no spilling. It should also be noted that it is temperature-tolerant. However, there are some users who noted that in colder environments, this can be harder to use because of the low CCA, which is only 150. This is a user-friendly ATV-battery, which means that mounting will be an easy task. You do not need a helping hand to complete the installation of your new battery. It is also a good thing that it has high reserve capacity and can withstand wear and tear. One of the most common complaints about this model is the low cold cranking amps, which might make it quite difficult to be used in low temperatures. There are also some complaints about the size, so better check first if the dimensions are right for your ATV. This long-lasting ATV battery can offer the best bang for the buck. The cold cranking amps may not be the highest, but other than such; it can be impressive in more ways than one. In terms of technical specifications, this can prove to be an impressive choice. It has 12 amp-hour and 200 cold cranking amps. Meanwhile, it can deliver 12 volts of power, which will make it deliver optimal reliability. The durability of this battery is also a good thing. Even through the years, it will function at its best. It is totally sealed, which means that it will never spill. Regardless of the vibration and movement of your ATV, the battery will not be affected. It is also an exceptional choice because it is maintenance-free. 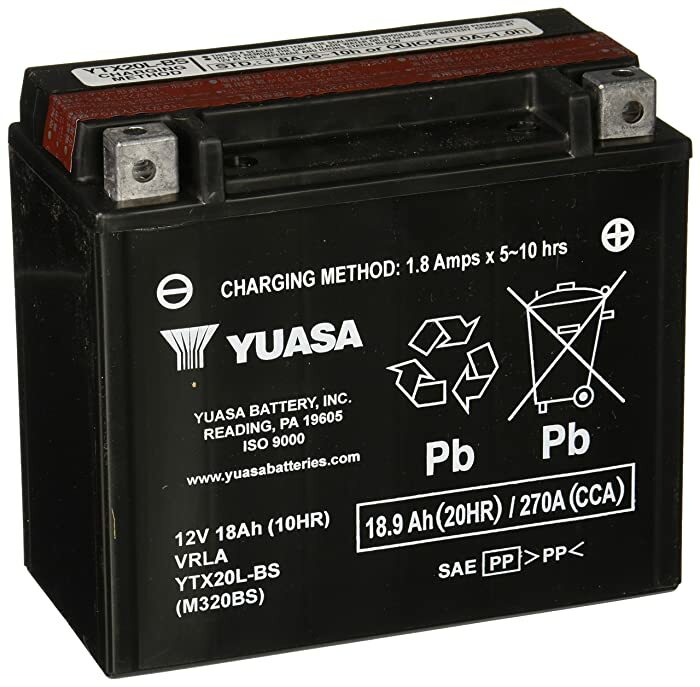 Adding water will never be required throughout the functional life of the battery. Lastly, it has advanced lead calcium technology. The latter is the one responsible for allowing the battery to hold its gravity three times better compared to traditional batteries. The mere fact that it is made by an established brand is already a good reason to choose this product above its competitors. The best thing is that it is maintenance-free, which will allow you to retain its best quality even after years of use. Size is one of the things complained by most people, noting that it does not fit some ATV models, which is why it is important to check first. There are also some who noted that it is weaker compared to many of its competitors. Quality-wise, this is another top pick within the product category, especially given its impressive technical specifications. This 12-volt battery comes with a cold cranking amp of 40. It has an estimated weight of 2.9 pounds without the acid. 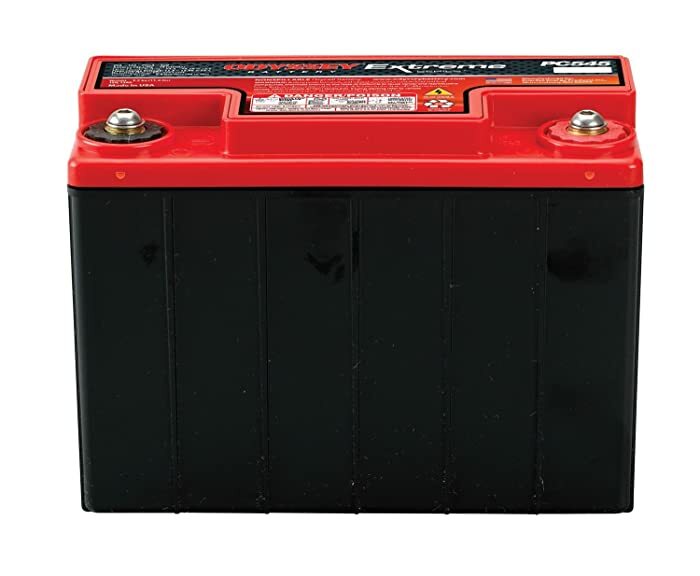 It is lightweight and compact, which will make it an excellent choice for an ATV battery. Among other things, the competitive pricing of this battery is one thing that has impressed a lot of people. It has an economical price, yet it promises to deliver excellent functionality. The spill-proof design of the battery is one more thing that we love. Even with extreme vibration and movements, you can be confident that it will never spill or break. This also speaks a lot about its durability. This is one of the most affordable products that you can consider. Despite its price, it can deliver decent performance. It already comes charged. It is also commendable that it is able to hold the charge for an extended period. When it comes to durability, this may not be as long lasting as most of the higher-end models that you can find in the market. There are some people who noted that this can be because of overcharging. In sum, this ATV battery is an affordable option. Despite its price, you can expect it to deliver excellent functionality, but this is far from what you can expect in the more expensive options. This 12-volt ATV battery has 18 amp-hour and 270 cold cranking amps. With the latter, you can be confident that you will be able to use it even in cold temperatures. The battery comes with an acid bottle and is supplied dry. This means that there is no need to worry about having liquid spilling all over the surface. It is also worth noting that it has advanced-lead calcium technology. The latter is an innovative feature of this battery that allows it to hold gravity three times better compared to what you can expect from conventional batteries. One of the best things about this battery is that there is no maintenance required. There is no need to refill with water. Also, it is spill-proof. Even vibration will not damage the battery. This will help to make it long lasting. If you are buying this product from a third-party seller, you should be careful. This is because the warranty will not be honored by the manufacturer if it is not purchased directly to them. Made by a reputable brand, this is another excellent choice for an ATV battery, especially because it is maintenance-free and spill-proof. It provides a reliable source of power, making sure that you can use your ATV in a variety of situations, even when the external temperature is too cold. It makes you confident about your safety. A high-quality battery makes sure that it will not be a risk in any way. It maximizes the performance of your ATV. If you choose an inferior ATV battery, expect that its performance will be dismal. With the abundance of the options that are available, looking for the best ATV battery can be an overwhelming task. With this, we hope that this buying guide was able to extend a helping hand. At all times, you should look beyond price. Pay attention to the quality and functionality of the battery. Even if it is expensive, if it is well-loved and given favorable feedbacks, it will be worth your money.